I was delighted when Pedagoo SW was announced to be coming to Bristol. 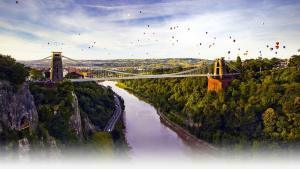 Aside from a 3 year interlude at University, which is all a little bit of a blur, I’ve lived in and around Bristol my whole life and love the idea that we can welcome a group of people from around the UK to come and visit us. And who could be a better bunch of people to visit than a bunch of teachers?